Sit back, relax, and enjoy the show! 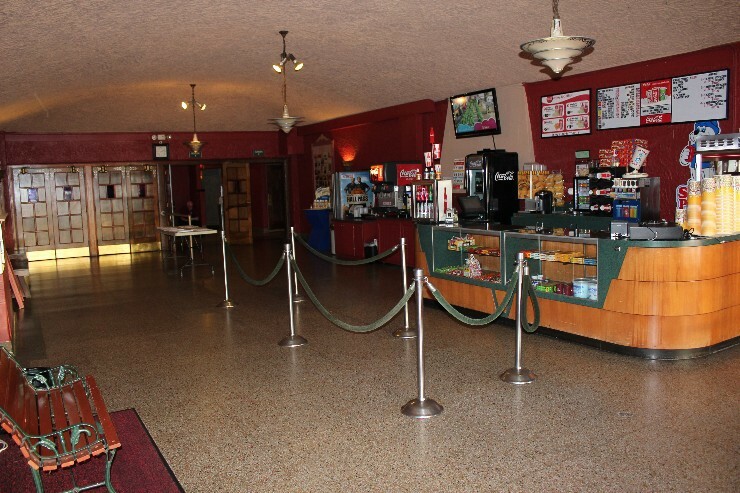 The Ionia Theatre offers two movie screens, a full concession stand, and a nostalgic atmosphere. 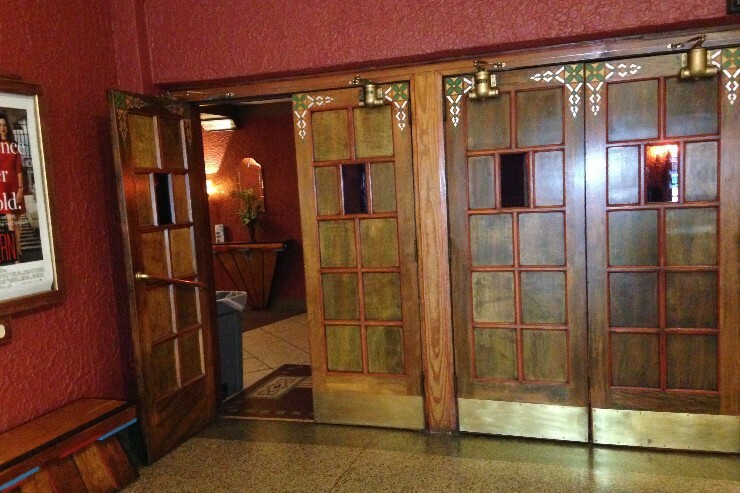 Built in 1931, the Ionia Theatre was originally constructed for Vaudeville entertainers. 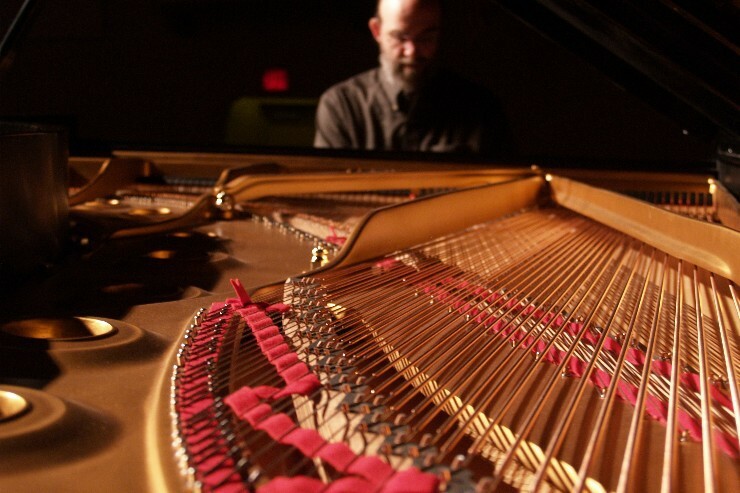 A full stage with the ability to operate, or “fly,” more than 16 different sets, an orchestra pit, and lofts for a pipe organ are all part of the facility. 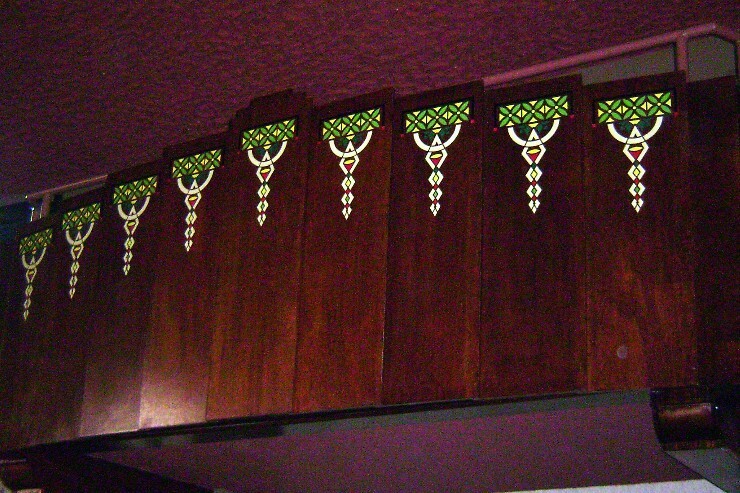 Eight dressing rooms were built with halls connecting to the main stage. 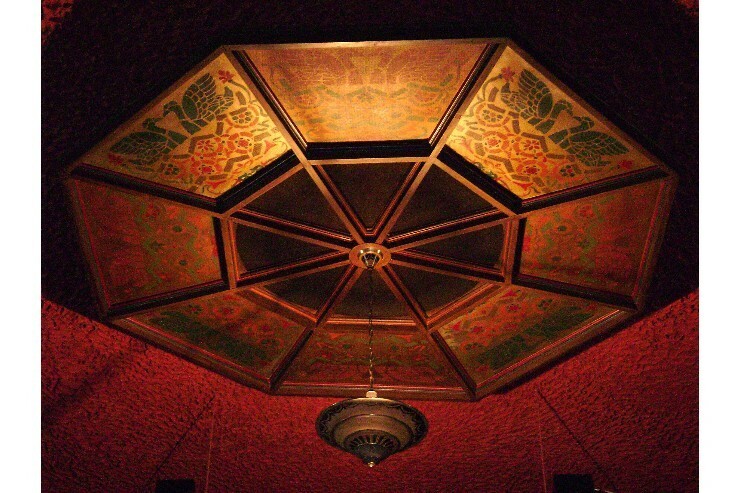 The inside and design of the theatre was patterned after the New York Roxy Theatre. 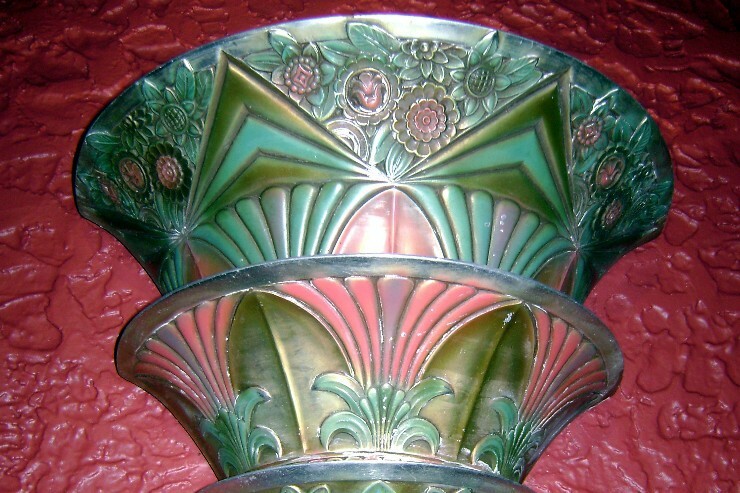 Art deco paintings can be found on the large chandelier and ceiling medallion, lobby murals, original wood furnishings, and side lights. All of these are original to the construction but have been preserved and maintained. Unfortunately, by the time the theatre was ready for opening, the Great Depression set upon the country and Vaudeville was a thing of the past. 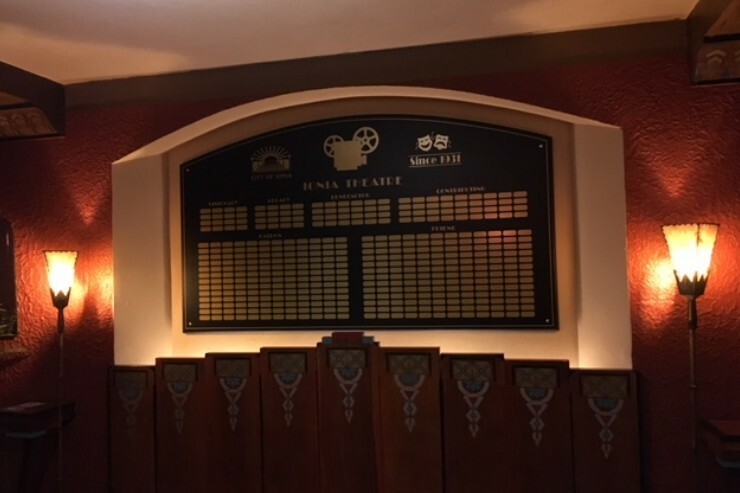 Instead, “moving pictures” were making their way into the mainstream, so a large screen was installed on one of the stage “flies,” along with an old arc-type projector (which is still on display in the lobby). 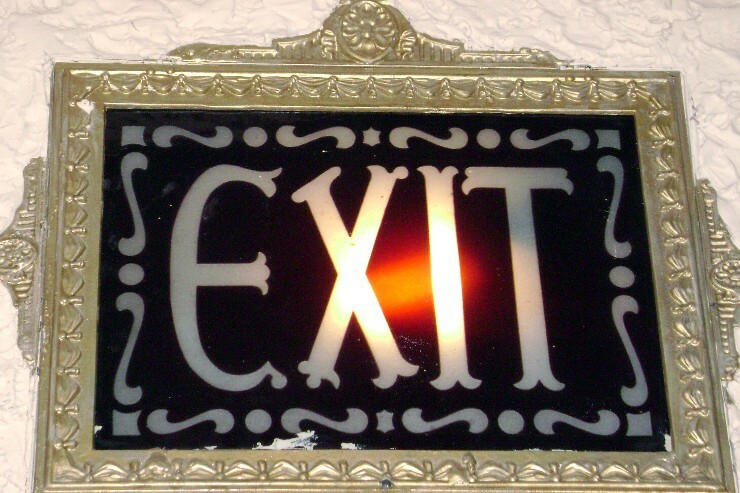 Over the years, the theatre’s owners, the Butterfield Family, made the difficult decision to close the theatre. It remained closed for several years. The projectors did not work; the wood-backed, cushioned seats had tears in the cushions, popped springs, and many broken parts; the plastered ceilings and walls in the main auditorium and lobby began to crumble from the leaky roof; the carpets were worn through to the concrete floors; and, most of the electrical was in poor condition. The impressive marquee had been reduced to an unlit “Ionia” sign that was supported by 6" by 6" wood posts. None of this, however, discouraged the residents of the Ionia community. 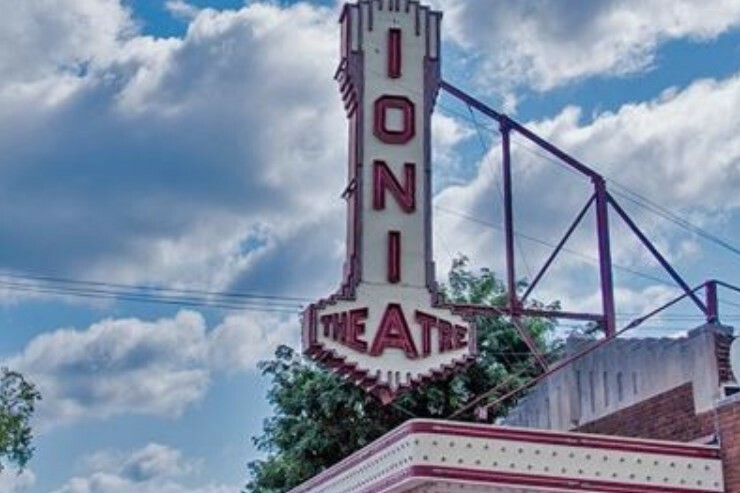 In response to a survey, several hundred residents identified this historic theatre as a top item for restoration to prepare Ionia for the 21st Century. A committee was formed headed by Ionia’s Monroe McPherson. They got right to work and hit the ground running. 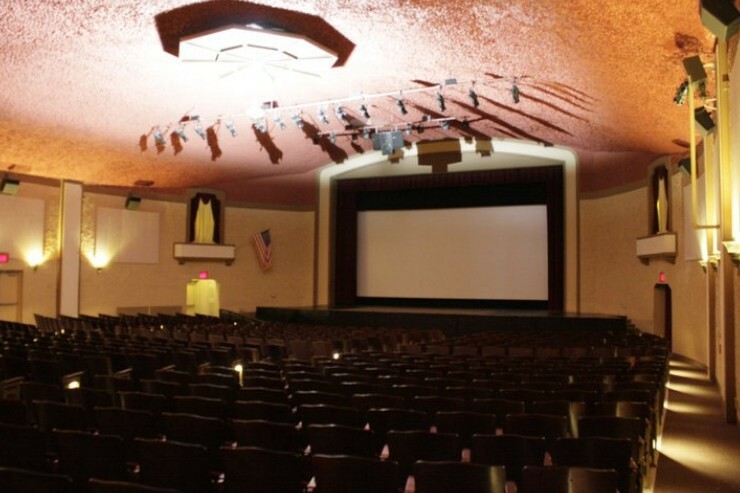 The committee raised the money to purchase the theatre from its private owner, and in partnership with the Downtown Development Authority (DDA) and several state grants, along with the help of community groups, banks, businesses, industry, and local contractors, were able to purchase and install a new projector, receive a donated roof, and make changes and updates to the interior. 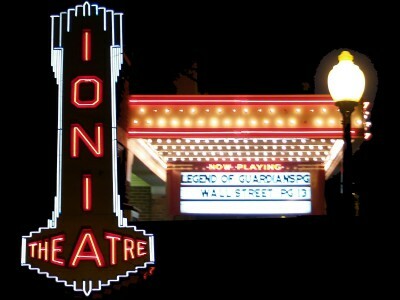 Ionia literally saved the theatre from the wrecking ball! The entire interior has been restored, including new stage drapery, seat upholstery, paint, and wiring. We are currently researching the possibility of having the interior murals and various decorative trims restored to their original splendor. 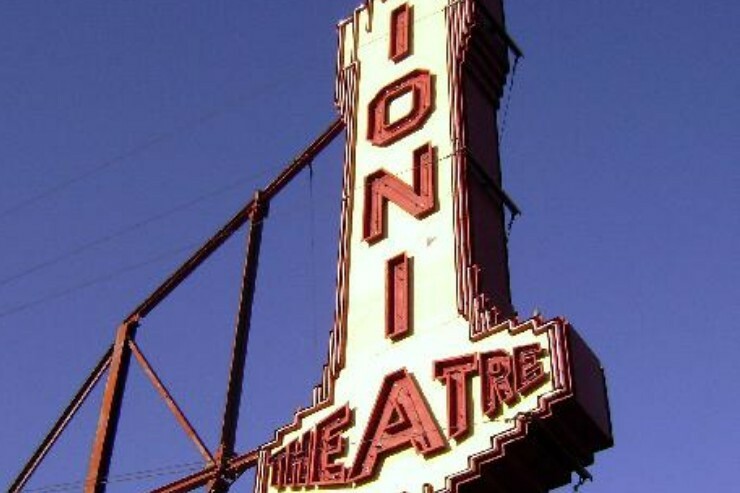 The original marquee had deteriorated beyond restoration so an exact replica was manufactured and installed and topped with the crowning glory of the flashing, neon “Ionia” sign. 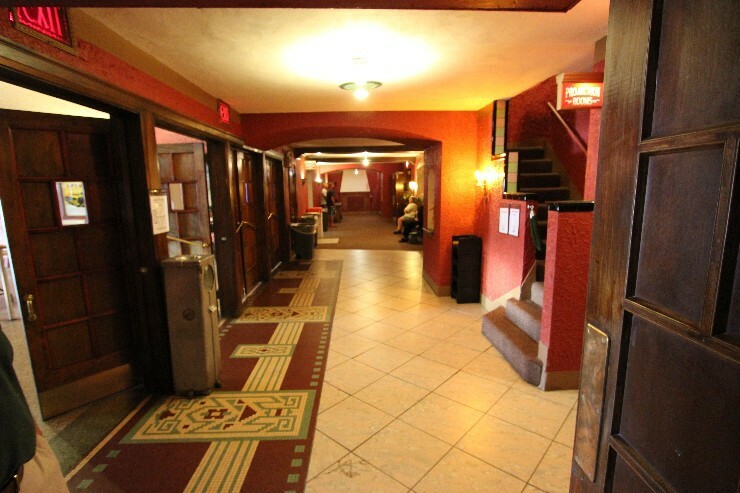 We recently added an attractive rear entrance, along with a “green room” for the comfort of our live performers, with access to the refreshed dressing rooms. The ticketing and concessions have been computerized. 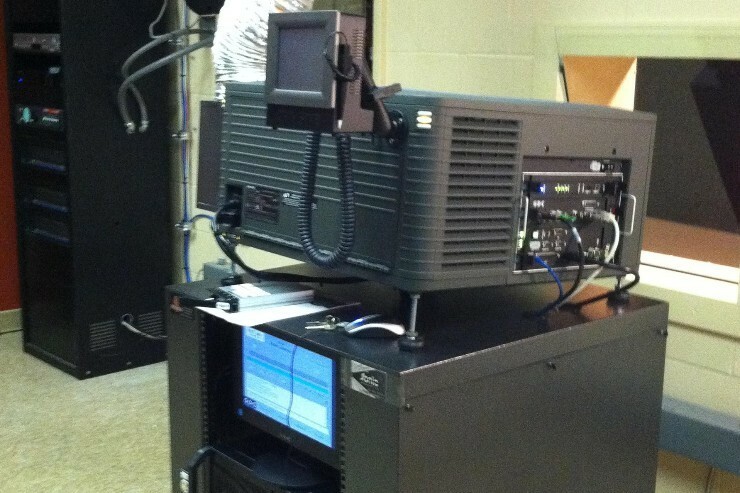 DTS Digital Sound and High Resolution have been added along with automation of the movie projection. 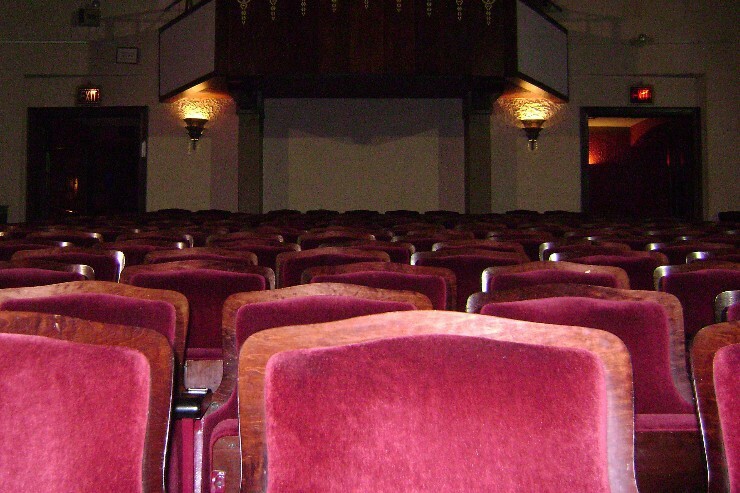 A balcony has been added to the main theatre, to operate the upgraded stage lighting. 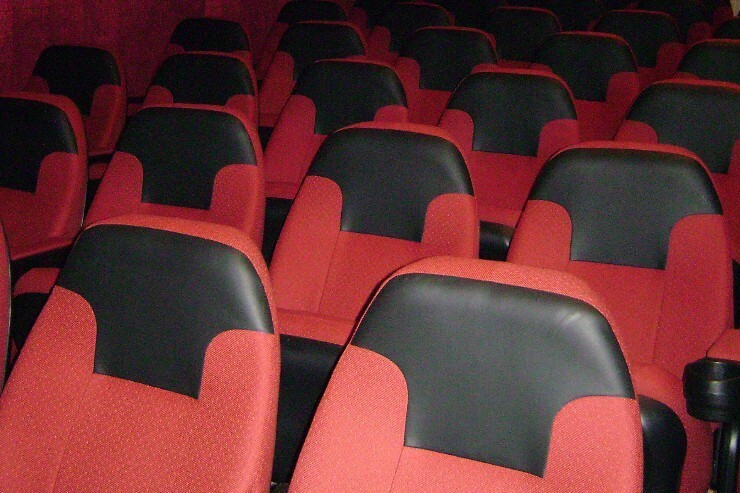 The smaller theatre comfortably seats 109 people and the main auditorium seats about 700 people. Each of these theatres can be, and are, used by business groups for meetings and workshops, as well as use by school and theatre groups. We have hosted the Grand Rapids Symphony, Celtic music groups, rock and roll performers, and stage groups. 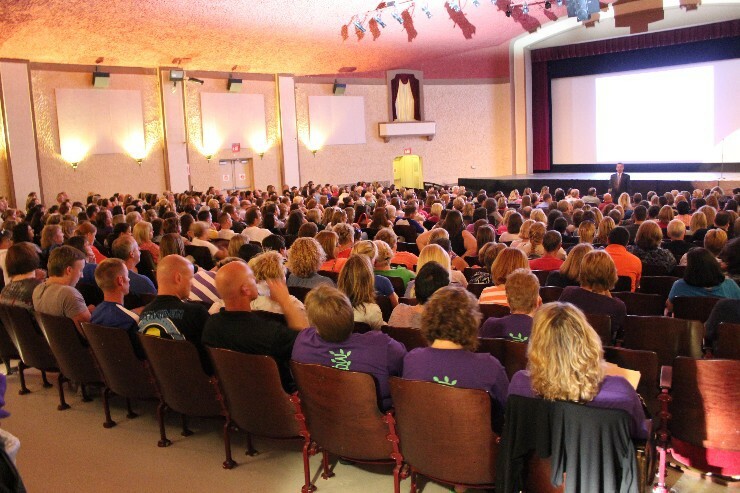 The Ionia Theatre is currently operated and managed by the Ionia Downtown Development Authority and the City of Ionia with a senior manager, manager, and two part-time staff. 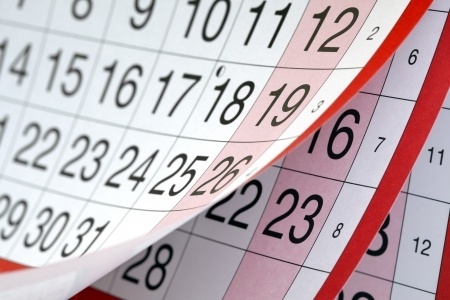 Regularly scheduled volunteers assist with concession and ticketing for movies and live performances as well as regular cleaning of the theatre. 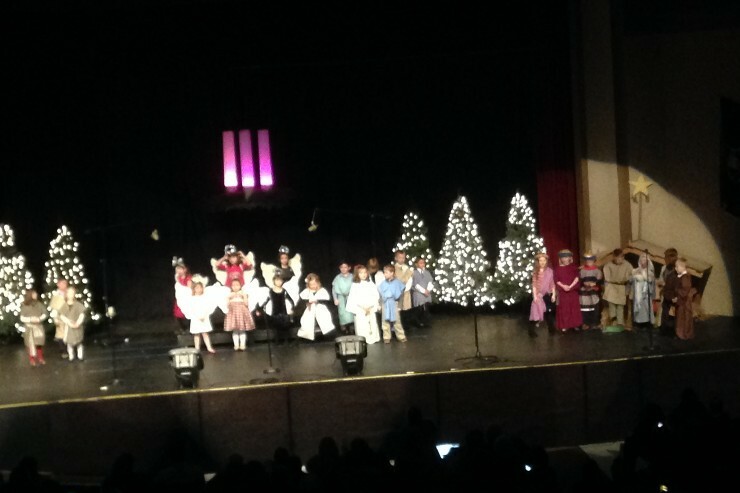 The support of the community allows the theatre to offer first-class live performances to first run movies, at a low cost. 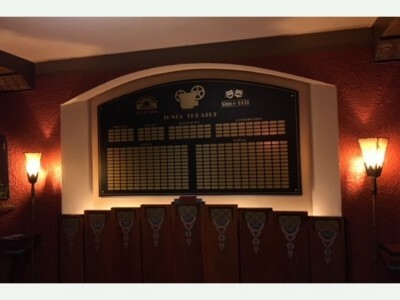 Gary Ferguson served on the original Steering Committee that purchased the Ionia Theater from Butterfield Theaters in 1985 and was a member of the Ionia Theater Association Board where he served as vice president and president. 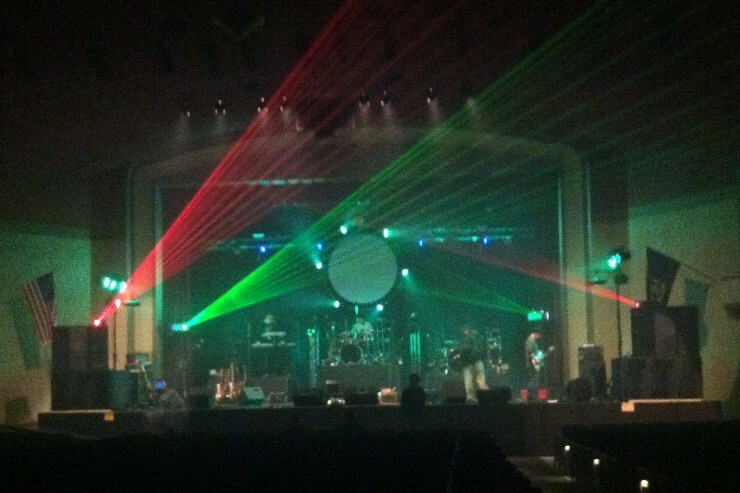 Gary was involved in many of the electrical upgrades, sound, and projection installations. 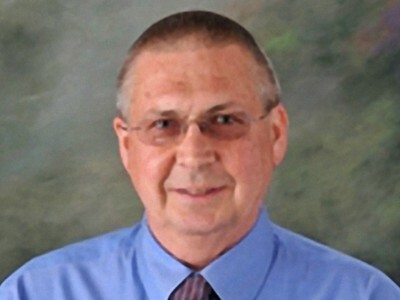 Gary's business background includes owner operator of Clorwell Electric from 1983 to 1999, The Electronics Shop of Ionia from 1987 to 1999, and Sears store operator in Ionia, Michigan, Casa Grande, Arizona and Mobile, Alabama from 1997 to 2008. Gary also has a Masters Electricians License. Today, Gary Ferguson maintains the Ionia Theater for the Downtown Development Authority (DDA), including projection and sound for movies and live events. He books and schedules movies, live events, and oversees volunteer staff and training. Mr. Ferguson is responsible for the daily management of operations and attends DDA and City meetings. 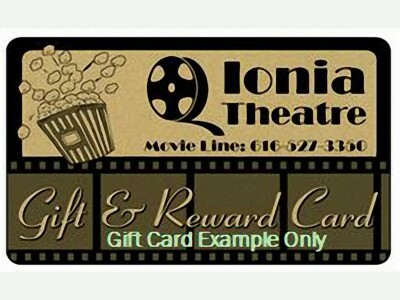 The Ionia Theatre Gift and Reward Card makes for a nice gift for "Christmas", "Birthday", "Anniversary", "Congratulations", "Just Because", or for whatever reason you wish!. Call 616-527-3860 for more information to purchase an Ionia Theatre Gift and Reward Card. Or, you can purchase them at City Hall, Monday-Friday, 8:00 A.M. - 4:00 P.M. The Theatre has entrances on Main Street and in the back SW rear corner of the building, where parking is best.